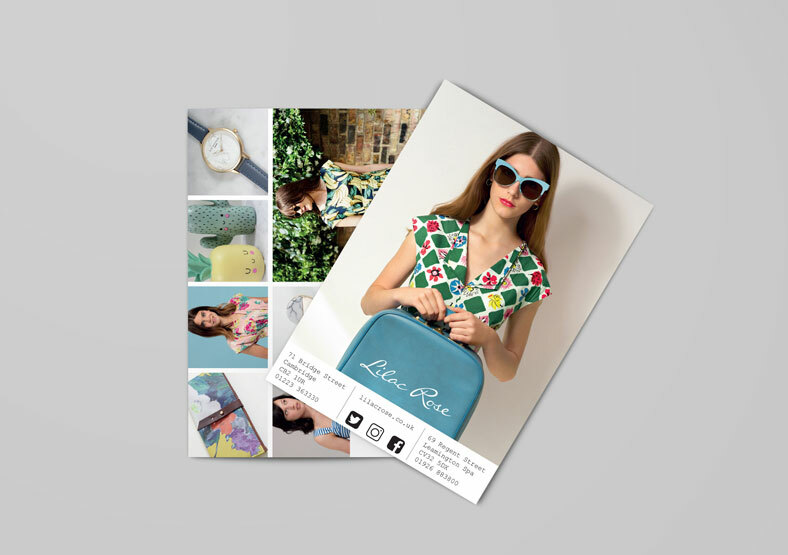 Lilac Rose is an independent fashion boutique selling clothes, jewellery and accessories from branches in Leamington Spa and Cambridge. 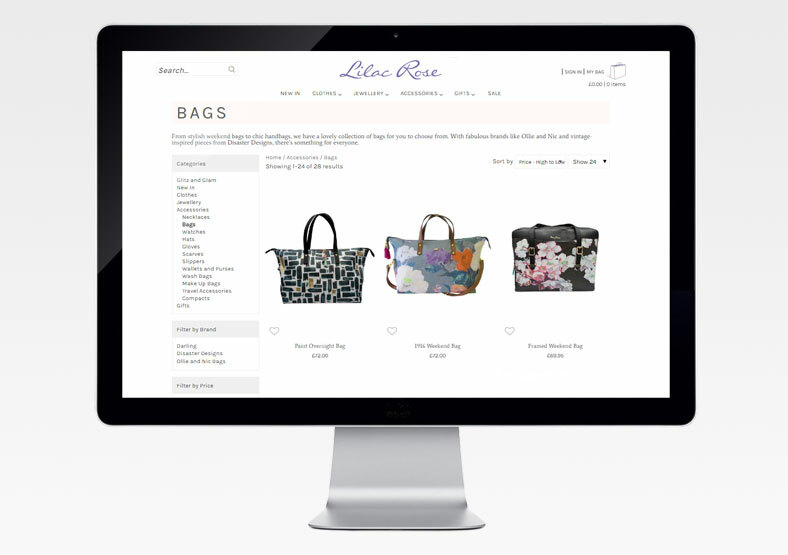 After trading successfully through their two stores for a number of years, Lilac Rose needed an eCommerce website to create another sales channel and widen their customer base. 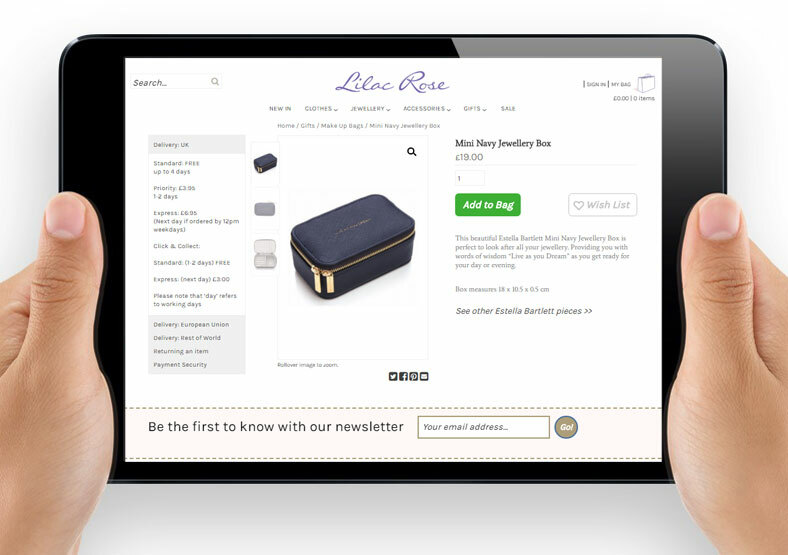 We designed and built a WordPress website for Lilac Rose, with eCommerce functionality. 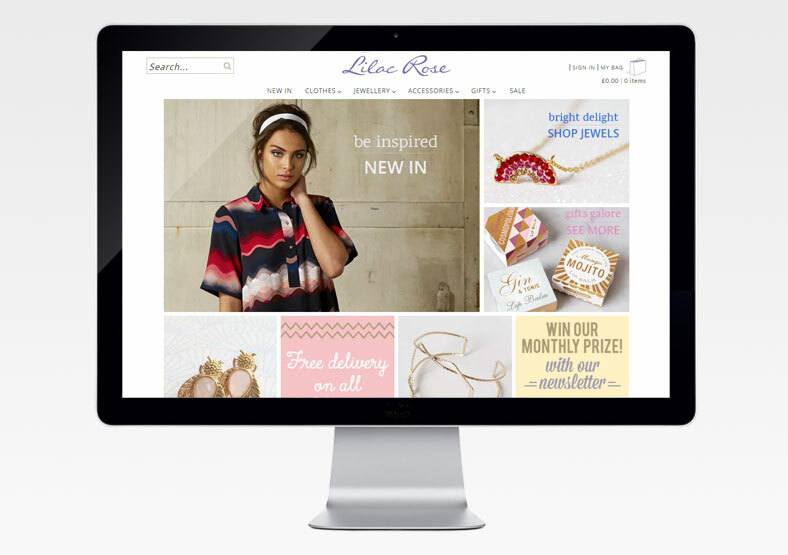 Lilac Rose staff are able to access the website and make changes themselves. We also incorporated a system for uploading products in bulk, saving Lilac Rose time in uploading products one by one. We configured the website to use WorldPay, so that all transactions are completed securely online with no need to leave the site for an external payment process. We also wrote copy for the website, and implemented an SEO system for ongoing search ranking improvements. 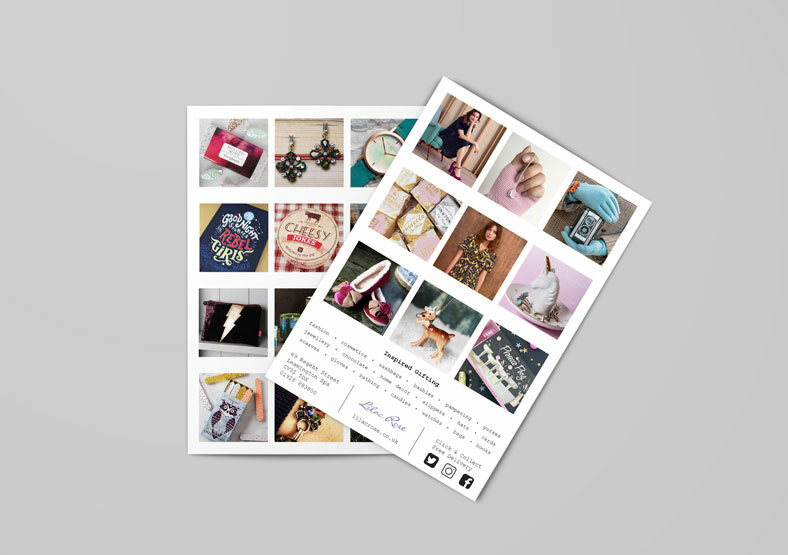 Lilac Rose also use our graphic design services to create promotional postcards and press adverts.